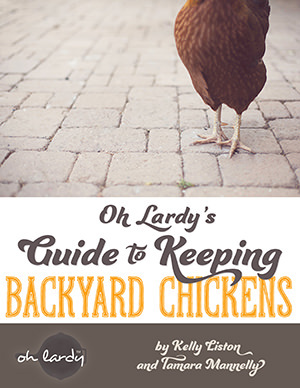 10 Uses for Fermented Foods (plus an easy recipe) - Oh Lardy! 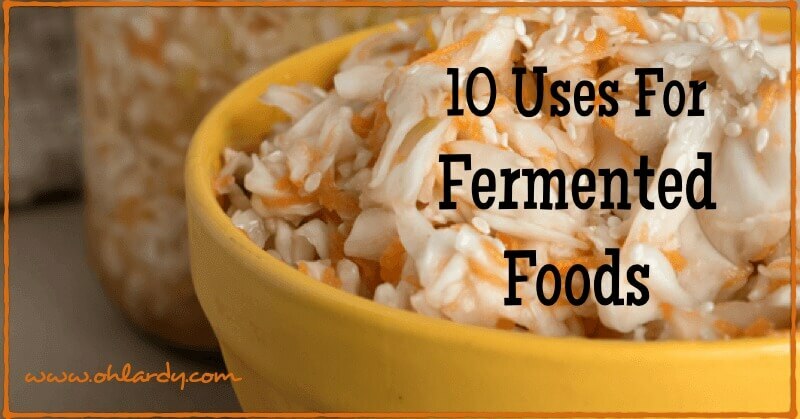 Home » Recipes » Ferments » 10 Uses For Fermented Foods and an easy recipe! This is the last post in a series on gut bacteria and fermented foods. You now know about gut bacteria, the benefits of fermented foods and how to ferment foods at home. 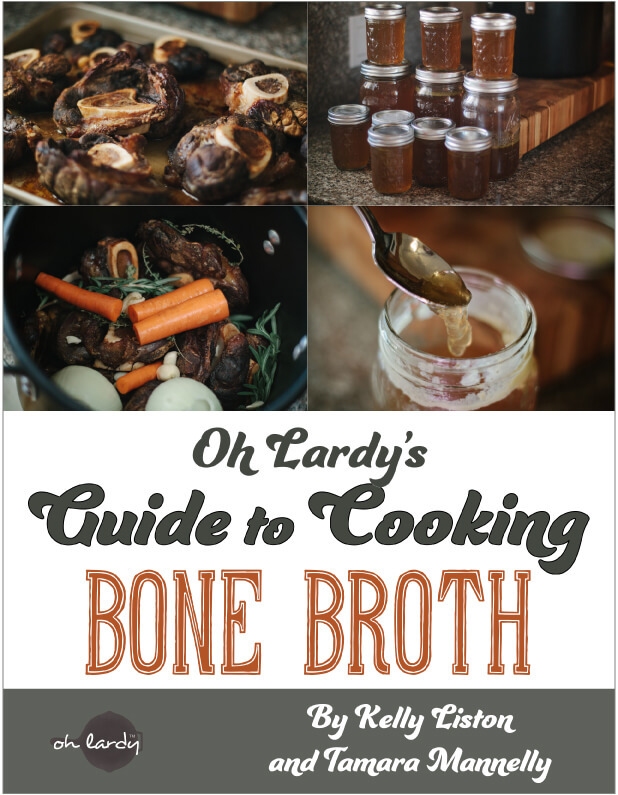 We also have several recipes for fermented foods on Oh Lardy! But…now what?! What do you do with these fermented foods? 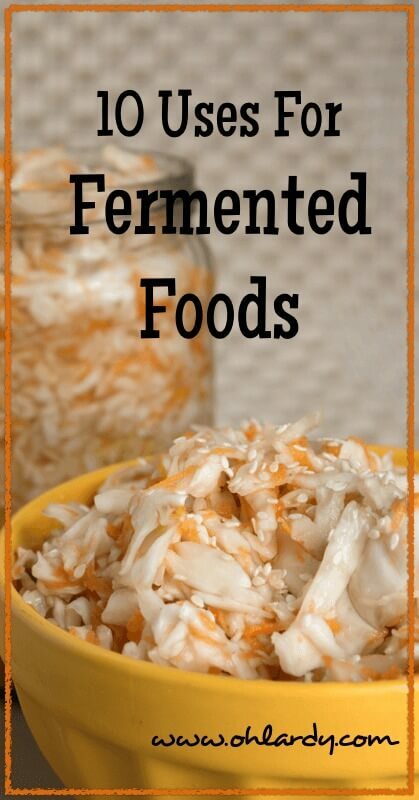 Before I get into 10 uses for fermented foods, I wanted to give you another quick and easy recipe that shows you how simple it really can be to ferment foods. 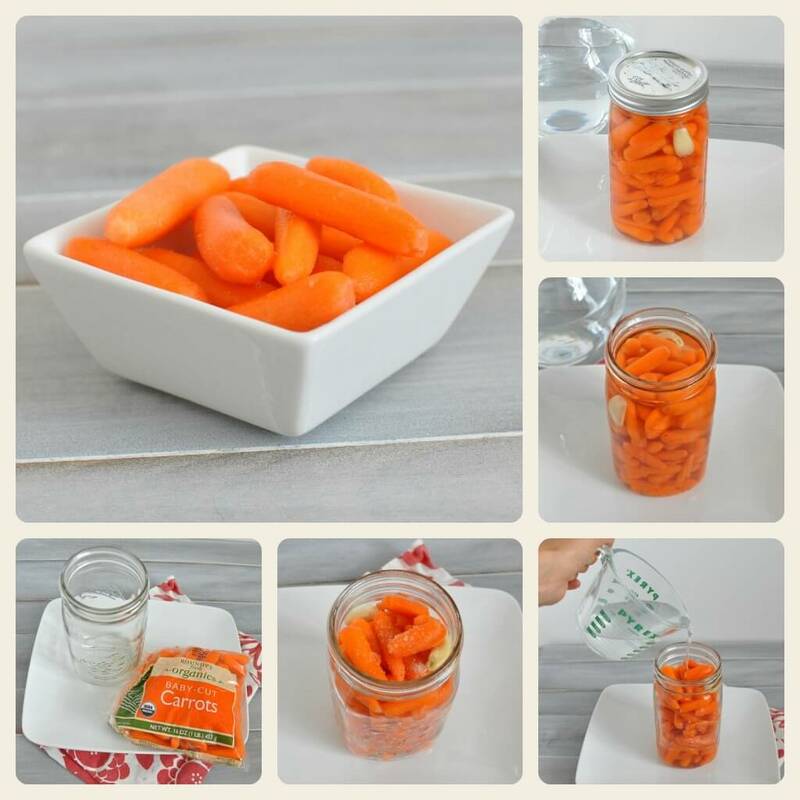 We call this recipe ‘Carrot Pickles.' My daughter loves them! You can follow this same guideline for almost any vegetable (jalapeno peppers, green beans, cauliflower, etc.). Fill with room temperature filtered water. Leave one inch headspace. Tighten lid and leave at room temperature 4-7 days. You will know they are done when the water gets cloudy and you may see some bubbling action. The mason jar lid may also be firm from the gases that are building up. Transfer to refrigerator. They will keep for 6 months or more. 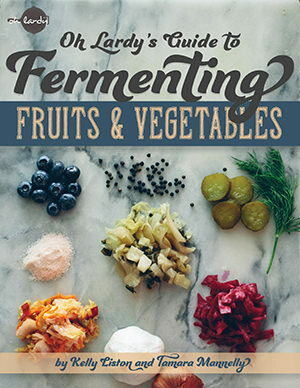 You can use fermented fruits and vegetables in so many different ways! If your family hasn't adjusted yet to the sour taste that many fermented foods have, you can ‘hide' them in a variety of meals. 1. As a side dish. You can simply serve a small serving of fermented veggies or fruit as a side dish with your meal. I do this often with carrots, green beans and sauerkraut. Chop up your fermented veggies and serve on a green salad. Fermented fruits (and the juice) are the perfect addition to smoothies. 4. As a sauce or topping. You can use fermented fruits as a topping (or puree them for a sauce) for pancakes, waffles, ice cream, yogurt, etc. 5. Add to hearty salads. Chop up fermented veggies are an excellent addition to pasta salads, tuna salads, egg salads, bean salads, etc. I add fermented carrots/peppers/cucumbers to these types of salads all the time. You could ferment cloves of garlic for this purpose too! 6. On a wrap or sandwich. A small amount of fermented veggies make a crunchy topping for your favorite wrap or sandwich. Different varieties of sauerkrauts work great for this. You can add almost any fermented veggie to your favorite guacamole recipe, sour cream dip, artichoke dip, etc.. Your family will never know! Fermented salsas are a great dip too. If your family doesn't care for the taste, mix fermented salsa with regular salsa. Almost any homemade condiment can be fermented. Kelly has a great recipe for mayo. Simply adding whey or culture starter to your favorite homemade ketchup, mustard, bbq sauce recipe (tighten lid and allow to sit at room temp overnight) will enable you to have probiotic goodness for condiments. 9. Use the juice to flavor soups and sauces. 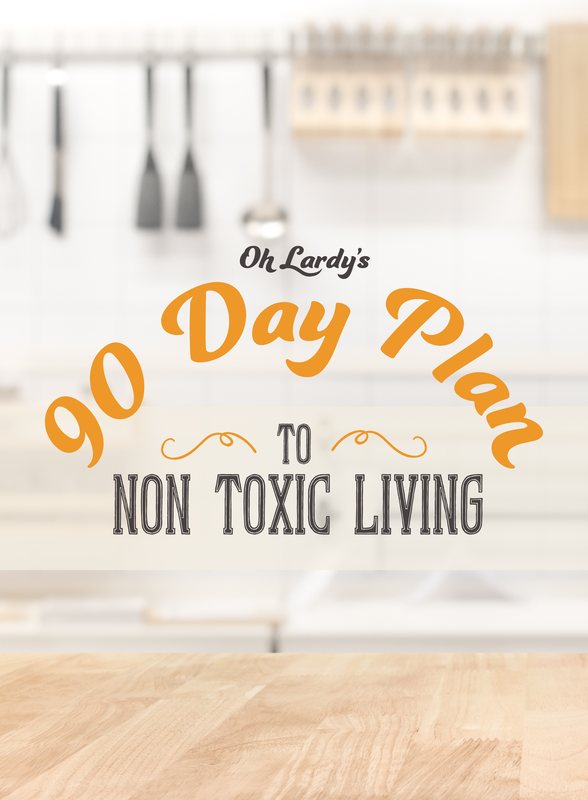 Don't waste the precious juice of the vegetables that is laden with good bacteria. Add a little to soups or when making sauce. (Be sure to add at the end of cooking, so the temperature has less chance to kill the good bacteria!) Adds a nice bite to spaghetti sauce. Make several batches of your favorite ferment and give as gifts to friends! It's the perfect time of year to give jars of deliciousness to help keep your friends' immune systems strong and gut bacteria in check! Do you have any other uses for fermented fruits and vegetables? Post them in the comments section below! I just decided to try adding fermented fruit juice to sparkling water-yum! Even more fizz! Love this post! Don’t know why I didn’t think of chopping and adding fermented veggies to salads before. We have a batch of carrots and cucumbers that have been sitting in the fridge longer than normal because they turned out a little too pungent to snack on alone. For lunch I added them to my salad with homemade honey mustard dressing and the sweet and sour flavor together was perfect! Also have a question for you….how often does your family eat fermented foods? How important is it to have variety in the foods you ferment in order to restore the good bacteria in your gut? Is quantity more important or type? I just started adding the fermented veggies/fruits to ‘other’ things recently. My husband isn’t loving the fermented taste, so I was struggling to find ways to ‘hide’ them for him (usually you have to hide it for kids!). Since taking the Certified Healing Foods Specialist class in September, I have made a concerted effort to eat them myself at least 3 times a day. 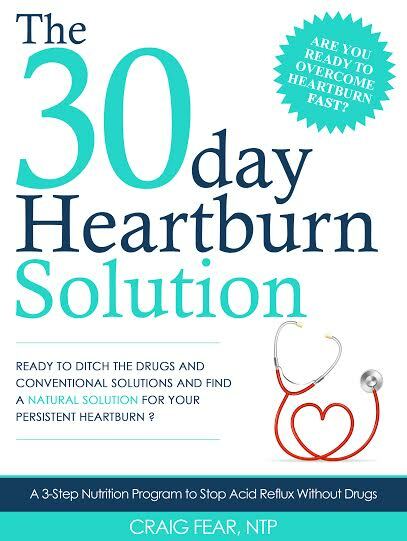 (My dr wanted me to continue taking a very, very expensive rx probiotic 2xs a day to get 900 billion units of bacteria. Thinking I can get 100s of trillions eating these foods, which is better anyway and WAY more cost effective). Daughter probably at least 2. Hubby, just at dinner. 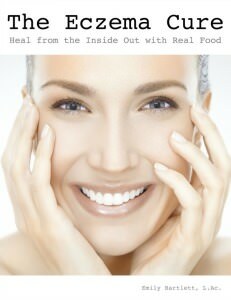 I have noticed a huge difference in a variety of issues…digestion/elimination, energy level to name 2. I include cultured sour cream, cultured butter, yogurt, kombucha, fermented drinks (just starting experiment with these via Nourishing Traditions recipes, daughter is digging a fermented ‘orangina’ beverage) along with the fermented fruits and veggies. The whole cultured sour cream/butter thing is so easy! Plan a post on that soon! Do you mean should you change up what you ferment for variety (ie. not always relying on cultured carrots?) In my CHFS class, we were taught that variety is key and to try to get the ‘good bugs’ as many different ways as possible AND to shoot for three 1/4 cup servings a day. That being said, not everyone has room in their fridge for 10 different ferments…so I’d do what you can. Given that most of the foods last for so long (veggies for 6-12 months, fruit 2 months), you can make a variety and store in a separate fridge. I am considering buying a ‘dorm’ fridge to store my ferments. Good luck!!! Please share if you find any other interesting ways to use your ferments! I’ve been making beet kvass, it’s so delicious (and easy!). And I put the beet chunks in a hearty beef vegetable soup made with bone broth. What a great way to use the beet chunks! I need to start doing that. I agree, it is delicious and easy! Thanks for the compliments…on the tips and the blog! We’ll be seeing you at Thank Your Body Thursday each week!!! Love your site! just wondering….is there such a thing as consuming too much fermented foods? Good question! I like to let my body be my guide. I have never had a problem with fermented foods, but if you are experiencing uncomfortable symptoms, maybe dial back on the amount and build up slowly. I have a question about veggie ferments. This easy carrot recipe in particular. Just finished our jar of carrots and am about to make another batch and wondered if there are any advantages/disadvantages to using the same liquid from the first batch and simply adding new carrots? Would this give an added boost of probiotics already established or can the liquid go bad after a while so better to start fresh? Maybe a combination? I have never done that. However, I do know many people who use the fermented juice from a previous veggie ferment as their starter (i.e. they do not add culture starter or whey). Give it a try! My husband is diabetic and tries to stay away from the “root” veggies. 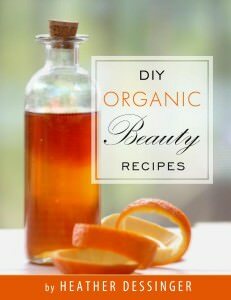 Will fermenting these foods, such as carrots, help illiminate the sugar spikes? It could. Fermenting pre digests the food (the bacteria start to eat the starches) and there are less sugars present….I would check with a doctor first, of course. I am diabetic and do not check with doctor because of bad information from them. I do eat some fermented root vegies with no spikes. 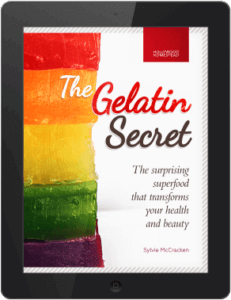 Just eat a little and check your sugar an hour or so later and that should tell you all you need to know. I can now eat carrots, beets, turnips, radishes all fermented without problems. Just start small. Yes, as soon as your veggies are “ready” move them to the fridge for cold storage to drastically slow the fermentation process. 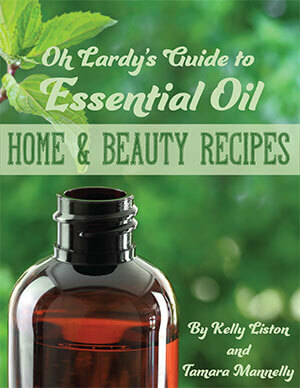 Let us know if you have any more questions about fermenting! We LOVE to ferment! I’ve been fermenting foods for over 10 years and always sharing them with friends and they never know what to do with them. 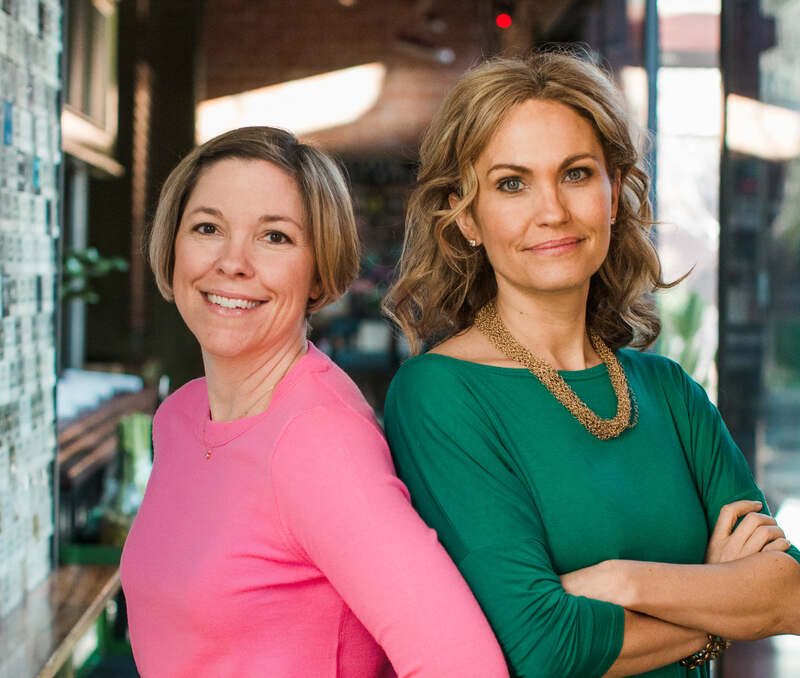 This is a great article that I can refer them to – thank you! One other use for the ferment liquid is to use it in salad dressings. I add it to my homemade ranch, italian and orange sesame dressings. Oh,regarding the use of leftover ferment juice to start a new batch … I do not recommend it. For other types of ferments (sourdough, yogurt, whey) but but for production of lactic acid in vegetable ferments, the leftover ferment juice is too acidic for the initial development of the good bacteria. The resulting product will still be fermented somewhat but will lack the quality of good bacteria that can be developed. Resulting product will lack crunchy texture too. See Chapter 3 of the Home Preserving Bible for more information. 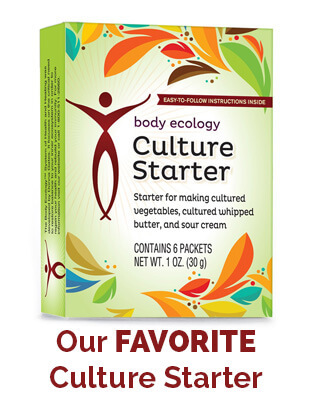 Where do I get the whey or culture starter? I am totally vegan and do not do dairy – no whey…..do I add extra salt instead? How much? Great course, by the way!!!!! Thank you! Hi there. I make Kefir Milk and have a lot of golden Whey from it. When fermenting carrots, peppers, chilies and green beans I have not used Whey but only Sea Salt like when I made Sauerkraut and it has all kept for months. I also have a 2nd fridge for my fermented veggies and Kefir Milk.